A broody hen is a female chicken who has decided she wants to be a mom. She will sit on a clutch of eggs to keep them warm and protect them, and will leave them only for a few minutes each day while she feeds and relieves herself. A broody hen will sit on eggs even if they are unfertilized and will never hatch. If you have no rooster and want some chicks, buy some fertilized eggs and let her hatch those. Sometimes a hen will sit in the nesting box but not be broody. Slide a hand under her to try to remove any eggs she is resting on. If she just gets up and moves, she is not broody. A broody hen will puff her feathers up a little and try to peck at your hand. She also will make noises. 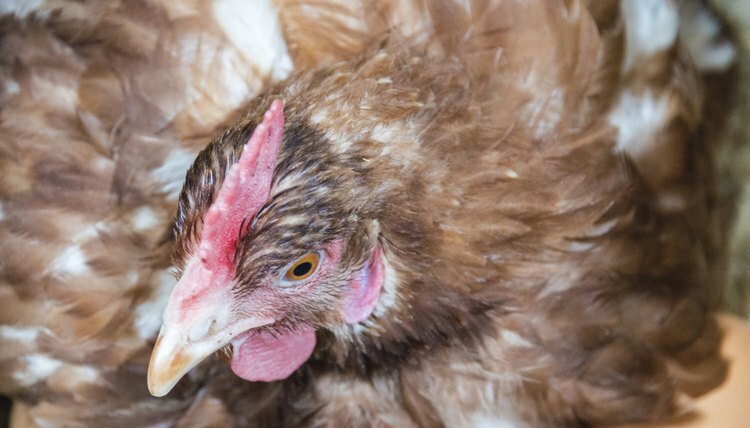 If you let a broody hen keep her eggs, they will take around three weeks to hatch. Make sure she always has food and water nearby so she does not have to leave them for long. How Long Does a Bearded Dragon Need Its Mother?